Hoping to embark on a working holiday in Australia? There are two visa subclass options which can facilitate this. The Working Holiday visa (subclass 417) is a temporary visa for young people who want to holiday and work in Australia for up to a year. More information on how to qualify for a visa subclass 417 can be found here. You can find more information on this visa here. Or, if you are unsure of your visa status, you can check it by using the Visa Entitlement Verification Online service. One of the biggest factors affecting how you're taxed in Australia is whether you're a non-resident or resident for tax purposes. 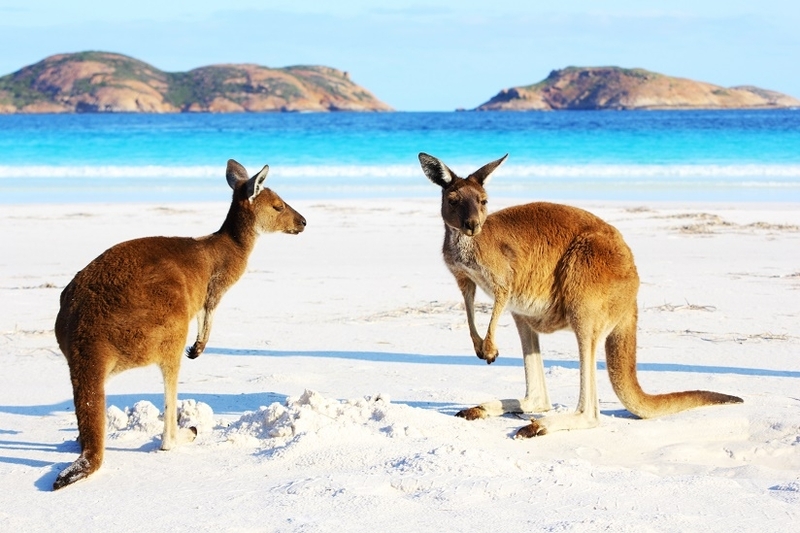 All working holidaymakers entering Australia are considered non-residents for tax purposes. The main difference between tax for residents and non-residents is that non-residents pay 15% on their first $37,000 and residents pay 0% on their first $18,200 and 19% from $18,200 - $37,000. When you're applying for a job in Australia, make sure your prospective employer is registered to hire working holidaymakers . 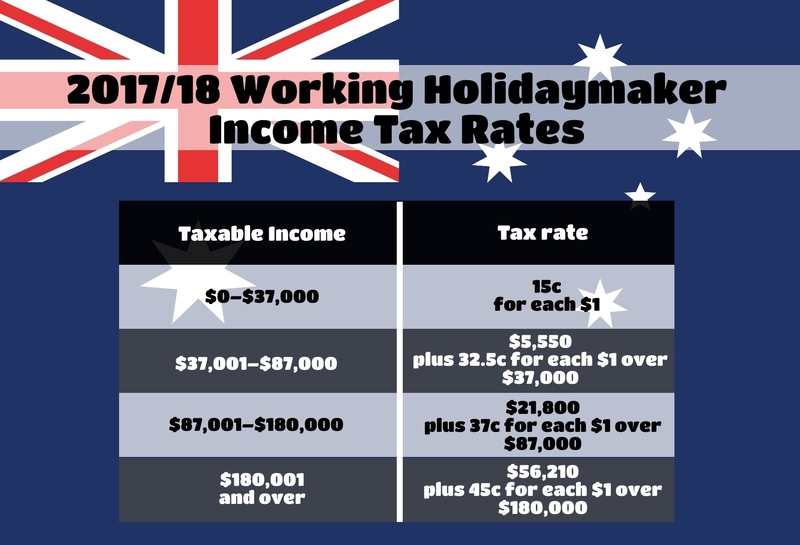 Registered employers will charge working holidaymaker rates at 15% on income up to $37,000. However, non-registered employers are obliged to withhold tax at the higher non-resident rate of 32.5% on income up to $37,000. So it's in your interest to make sure you only work for employers who are registered to hire working holidaymakers. Any employer can hire a working holidaymakers and it's especially useful if they need a labourer or employee for a short amount of time. If you work in Australia, tax will be withheld from your pay and you'll be obligated to lodge a tax return each year. Regardless of the visa subclass, all Australian working holidaymakers are considered non-residents for tax purposes. There's further information on income tax rates later in this guide. 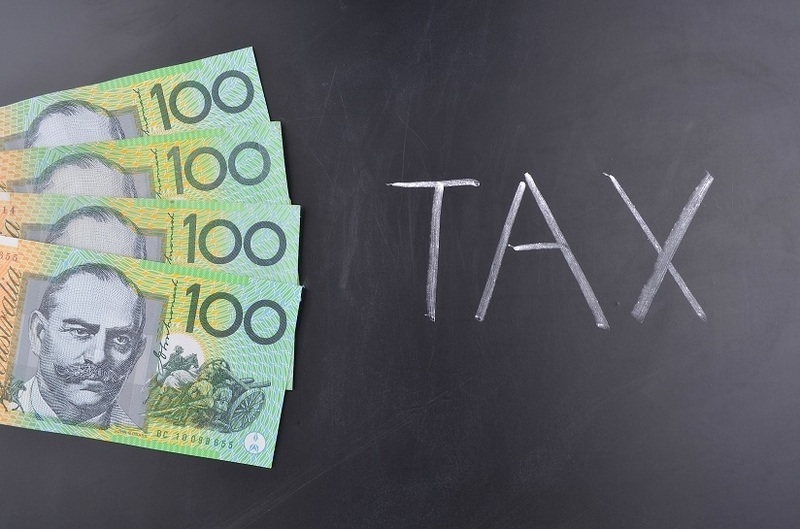 Residents of Australia are subject to a small levy deducted from their taxable income at 2%. It guarantees Australians and some other nationalities (Britons and Italians) access to healthcare at little or no cost. However, foreign residents don't need to pay the Medicare Levy. If you weren't an Australian resident for tax purposes for the whole of 2016–17, then you're exempt from the Medicare levy. Some people are exempt from paying the levy yet it still gets deducted from their wages. These people should apply for an exemption letter which will boost their refund. If you've been paying the levy and it turns out you qualify for an exemption, you could be entitled to some tax back. Taxback.com can also apply for a refund of the medicare levy if you were charged but not required to pay it. Your tax file number (TFN) is your personal reference number in both the tax and Superannuation (more on this below) systems. Your TFN is yours for life. Even if you change your job, or even your name, you keep the same TFN - so it's important to keep it secure. It's true that you don't necessarily need to have a TFN. But without one you pay more tax. It's also not possible to apply for government benefits, lodge a tax return electronically or get an Australian business number (ABN) without a TFN. To apply for a TFN you will need a valid passport and an Australian address where your TFN can be sent to. Your TFN will normally arrive within 28 days after you complete your application. More information on how you can apply for a TFN can be found here. From 1 January 2017 – as a working holidaymaker – the first $37,000 of your income is taxed at 15%, with the balance taxed at ordinary rates. All working holidaymakers are obliged to file a tax return. Tax returns cover the financial year from 1 July to 30 June of the following year, and if you're lodging your own return, the deadline is the 31 October. The Australian income year ends on 30 June each year. You are required to lodge a tax return to make sure you have paid the right amount of tax. When you lodge a tax return, the Australian Tax Office work out how much tax you should have paid based on your actual income for the year. If too much income was withheld from your pay, you will be entitled to a tax refund. Or, alternatively, if you have underpaid tax you will be sent a bill to settle your liability. 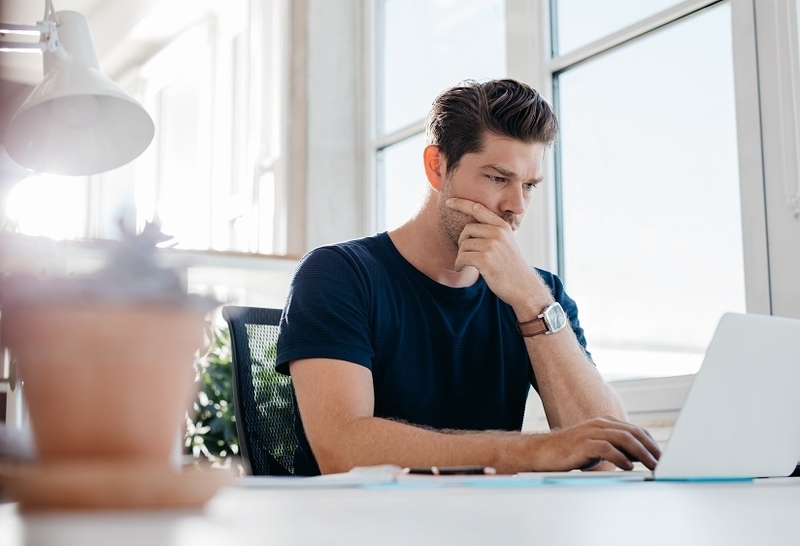 When completing your tax return you can ignore any income from which non-resident withholding tax has been deducted, such as bank interest and unfranked dividends. Further information on tax returns can be found here. If you leave Australia permanently before 30 June, you can choose to lodge your tax return early. If you're an Australian resident for tax purposes, the first $18,200 of your yearly income isn't taxed. This is called the tax-free threshold. All working holidaymakers will be foreign resident taxpayers and therefore are not eligible for the tax free threshold. Superannuation is a system for employees in Australia to collect enough funds to replace their income in retirement. If you're over 18 and earn more than $450 per month (before tax) then your employer must pay 9.5% of the value of your ordinary time earnings into a super fund on your behalf. Like Australian residents, students working in Australia also have to pay super. However, when you leave Australia, you can reclaim your super as a Departing Australia Superannuation Payment (DASP) if you meet all requirements. More information on Superannuation can be found here. Thousands of working holidaymakers are entitled to a tax refund every year. There are countless reasons for this, including missing out on tax relief entitlements or simply overpayment of tax. You can apply for your tax refund when you file your tax return. Alternatively, you can enlist the help of a tax agent like Taxback.com. We've been getting Australian tax refunds for our clients since 1996. Our team of tax accountants will file your tax return for you are guarantee to get you your maximum legal tax refund. Our average tax refund is AU$2,600. Apply today! 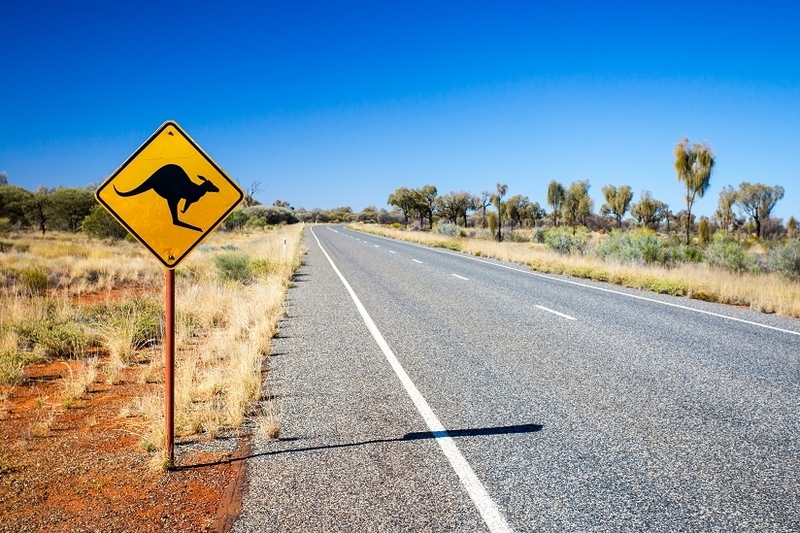 Australian working holidaymakers are considered foreign residents for tax purposes. The tax rates for working holidaymakers are listed below. 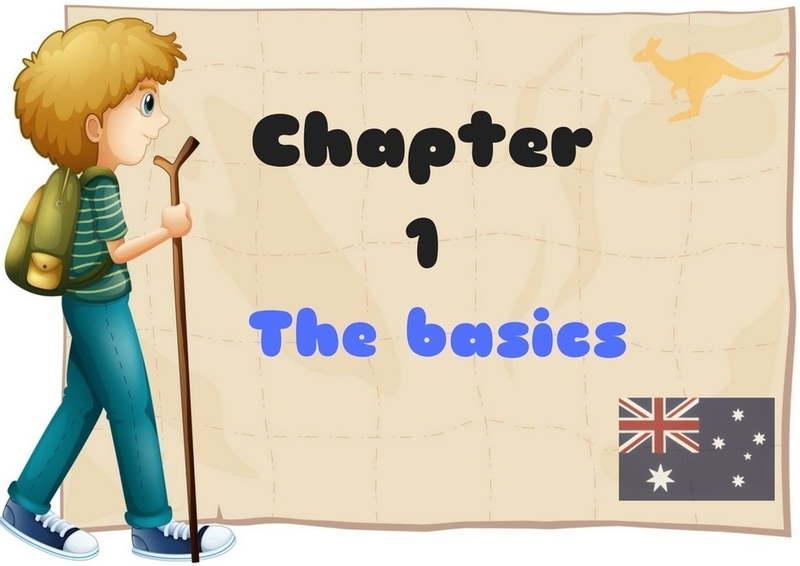 Paul, from Belgium, decides to embark on a working holiday (subclass 417) in Australia. When he arrives in Australia he applies for a TFN. When he begins working as a fruit picker he gives his TFN to his employer. Paul works 5 days a week and earns $100 a day. After 6 months, he leaves the position in search of work elsewhere. When he leaves the position, after earning $12,000, his employer gives him a payment summary showing his total earnings and that he had a total of $1,800 (15%) tax withheld. On 1 July, Paul lodges a tax return indicating he is a non-resident. He declares his $12,000 working holidaymaker income, and details that $1,800 of tax was withheld. He also has $500 deductions related to his employment. Once processed, Paul receives a Notice of Assessment showing a taxable income of $11,500 and a tax on taxable income of $1,725. As Paul paid $1,800 in tax, he receives a refund of $75 paid directly to his Australian bank account. If you do not supply your Tax File Number (TFN) to your employer when you start your job they must withhold 45% of your wages regardless of your level of income. Withholding amounts are always rounded up to the nearest dollar. In other words, values ending in 50 cents and higher are brought up to the next higher dollar. David is living and working in Australia on a work and holiday visa (subclass 462). He earns $2,500 per month ($30,000 a year). He has not yet applied for his TFN, therefore his employer must withhold 45% - $1,125 per month - of his earnings. Had he supplied a TFN, his monthly tax liability would be $375. If you advise your employer that you have applied for a TFN you will then have 28 days to provide them with your TFN before the withholding amount applies. Superannuation (super) is a system for employees in Australia to gather enough funds to replace their income in retirement. If you're over 18 and earn more than $450 per month before tax then your employer must pay 9.5% of the value of your ordinary time earnings into a super fund on your behalf. Your payslip details the amount of super you're getting and the date it's paid into your fund. If you would like further details on the account into which the super is being paid it is best to speak with your employer. It's common for employers to set up super funds on their employee's behalf. But, the option is also available to set your own fund up. You can do this when you open a bank account with any of the main banks in Australia. 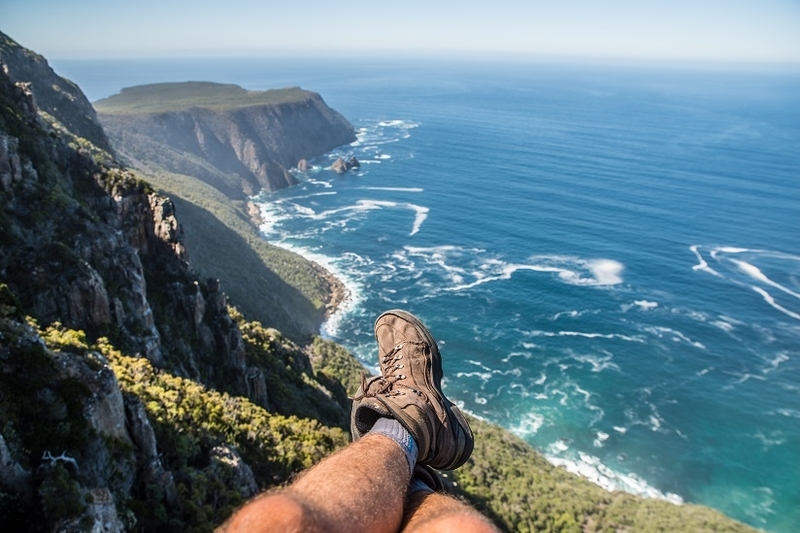 If you are a working holidaymaker, it is probably a good idea to set up your own super fund. This is especially true if you intend to travel around and work in a number of jobs. Trying to keep track of your super payments can get very complicated and confusing if you have multiple accounts. With one super account, you can keep all the funds in one place and it will be easier for you to claim it back when you leave. These funds are run by financial institutions and are open to everyone. Retail funds are usually run by banks or investment companies and are available for anyone to join. Public sector funds were created for employees of Federal and State government departments. Most are only open to government employees. A corporate fund is arranged by an employer, for its employees. Some larger corporate funds have an employer who also operates the fund under a board of trustees appointed by the employer and employees. Other corporate funds may be included as a separate part of a large retail or industry super fund (especially for small - and medium-sized employers). SMSFs work like any other super fund, but the responsibility of managing them, including their investment decisions and legal responsibilities) rests solely with the trustee (you). Establishing and operating an SMSF is a major financial decision and you should first discuss your personal circumstances with a qualified professional. By assigning your TFN number to your super fund, you can easily keep track of your money, move it between accounts, and receive super payments from your employer or the government. When is superannuation paid out? Superannuation is a pension system and is paid out to Australians when they retire. However, if you don't plan on retiring in Australia, you can claim some of it back when you leave. Note: Tax will be due when you reclaim your super fund. If you are or were on temporary visa in Australia (except subclasses 405 and 410) and you don't want to retire there, you can and should claim back your superannuation. The refund is called a 'Departing Australia Superannuation Payment' (DASP) and you can only claim it if your visa has expired and you've left Australia. Superannuation refunds can be a hefty sum. The average super refund through Taxback.com is $1,908. However, the amount you will get back will depend on how long you worked in Australia and the contributions your employer made. Also, if you lose any important information relating to your super fund, Taxback.com can help you recover it. It's also important to note that you will be perfectly entitled to return to Australia on another visa, even if you claim your superannuation money. It's important to note that if you are a working holidaymaker on either a 417 or 462 visa, and your Departing Australia Superannuation Payment is processed on or after 1 July 2017, your superannuation refund will be taxed at a rate of 65%. If you are on any other visa, your super refund will be taxed at 35%. Once you've left Australia and your visa has expired, you have a number of options to choose from in order to claim your super refund. Firstly you can apply directly yourself for your super refund. Or alternatively, you can contact a tax agent like Taxback.com. We can help you get your super back and even help get your visa cancelled for you if it hasn't expired! We'll update you so you can get on with life while we get your super back for you! 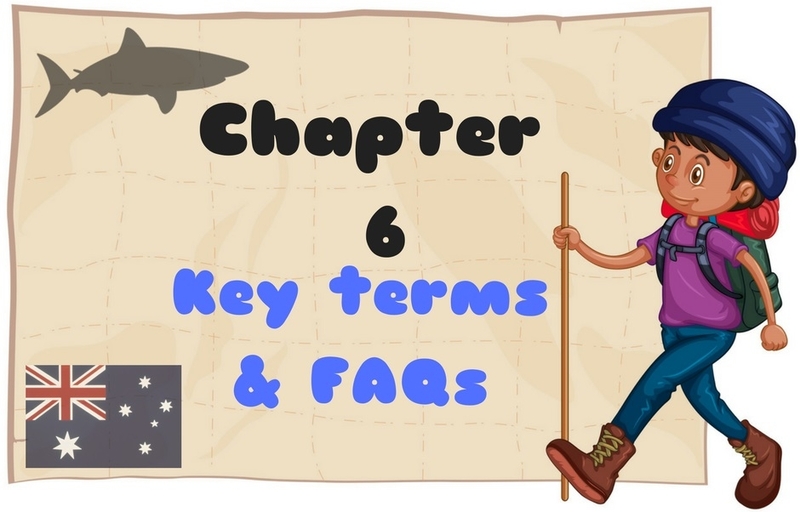 If you're studying in Australia in a course that has a duration of six months or more, you're generally regarded as an Australian resident for tax purposes. Usually Australian residents must declare all income they've earned, both in Australia and internationally, on their Australian tax return. However, overseas students are likely to have a temporary visa and therefore be considered a temporary resident. 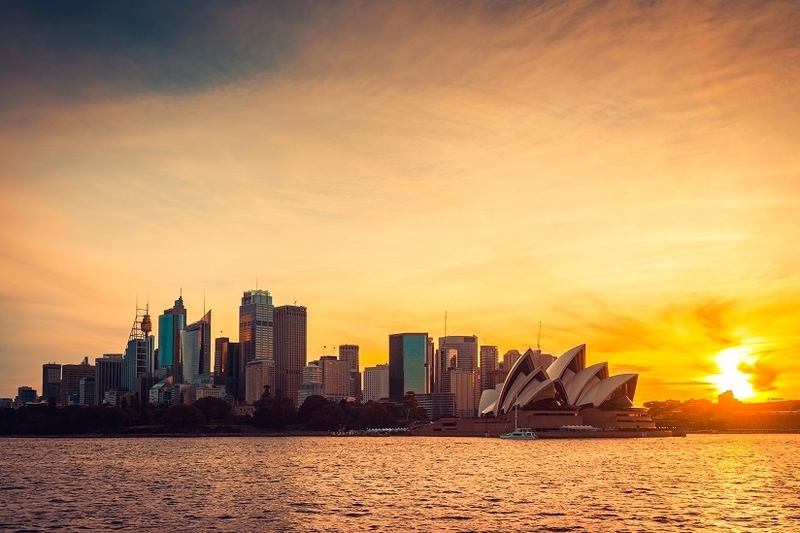 If you're a temporary resident, most of your foreign income will not be taxed in Australia and you don't need to declare it on your Australian tax return. You only need to declare income you derive in Australia and any income you earn from overseas employment you had while you were a temporary resident of Australia. If you worked in Australia as a working holidaymaker, and have now returned to your home country, you can still lodge your tax return and apply for your tax return. There are three options for doing so – online, with a paper tax return or through a tax agent like Taxback.com. If you are leaving Australia permanently you may be eligible to lodge an Australian tax return early. However, to do this you must choose to file a paper return. 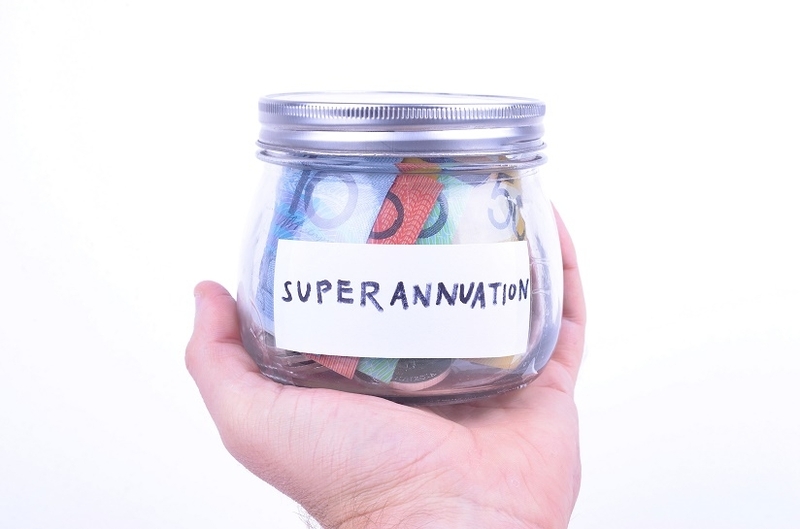 During your time working in Australia it is likely that you will have been paying Superannuation (super). Super is a system for employees in Australia to collect enough funds to replace their income in retirement. If you're over 18 (including students and working holidaymakers) and earn more than $450 per month (before tax) then your employer must pay 9.5% of the value of your ordinary time earnings into a super fund on your behalf. If you paid Super you will be entitled to reclaim it through a Departing Australia Superannuation Payment (DASP - if you meet all the requirements). Before your super is paid to you, your fund will deduct tax. If your Departing Australia Superannuation Payment is processed on or after 1 July 2017, your superannuation refund will be taxed at a rate of 65%. This change only applies to working holidaymakers on 417 and 462 visas. If you are on any other visa, the change doesn't affect you and your super refund will still be taxed at 38%. Note: New Zealand citizens and permanent residents of Australia are not eligible for the Departing Australia Super Payment. The Trans-Tasman Retirement Savings Portability Scheme permits transfers of retirement savings between super funds for people who emigrate from one county to the other. What is a Zone Tax Offset? 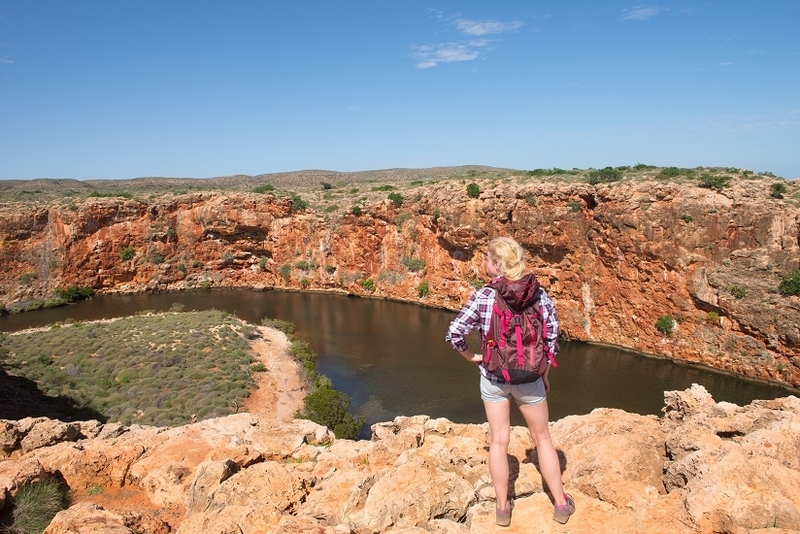 Zone Tax Offsets are tax concessions for people who live in remote areas of Australia. They are designed specifically to assist with the higher cost of living, amenities and other environmental factors associated with remote living. So if you go to Australia and live in a remote area, you may be able to claim it. Eligibility for the zone tax offset is based on your usual place of residence. If your usual place of residence was not in a zone, you are not eligible for the zone tax offset. 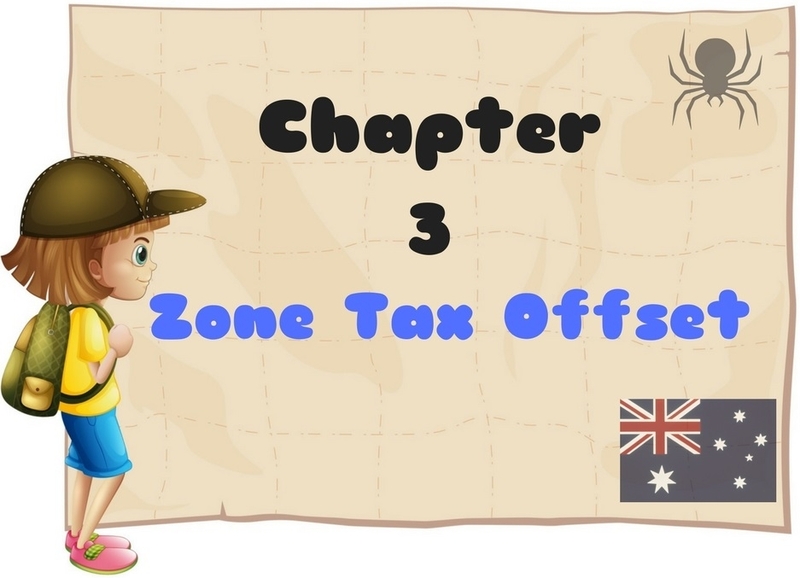 From 1 July 2015, you can only claim the zone tax offset if your usual place of residence is in a remote or isolated area (known as a zone) during the income year. Martin lived in a remote area from 1 March 2012 to 30 September 2016, a continuous period of less than 5 years. He couldn't claim a zone tax offset for the 1st year because he only lived there for 122 days. However, he could carry forward these unused days to 2016–17. He adds the number of days from 1 March 2012 to 30 June 2012 (122 days) and the number of days from 1 July 2016 to 30 September 2016 (92 days). As the total (214 days) is '183 days or more' over the two income years, Martin can claim the tax offset on his 2017 tax return. Levi is an engineer in Adelaide. He flies to Alice Springs for 12-day shifts at an engineering firm and returns to Adelaide for his days off (4-8 continuous days). 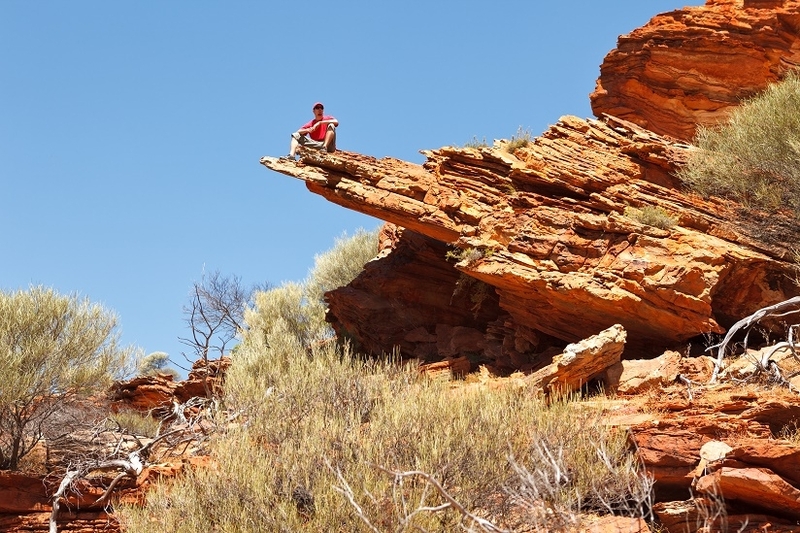 As Levi does not have his usual place of residence within a prescribed zone, even though he is in Alice Springs for 183 days or more, he is unable to claim the zone tax offset. At Taxback.com our team can let you know if you're eligible to claim the Zone Tax Offset. If you are a working holidaymaker you are legally obliged to file a tax return. The good news is that there are a number of tax deductions you can make to reduce your overall tax liability. So what counts as a tax deduction? Well, as a rule of thumb, if you need to spend money to earn income, you can usually claim it as a deduction. you must have a record to prove it – so it's vital to keep all receipts! 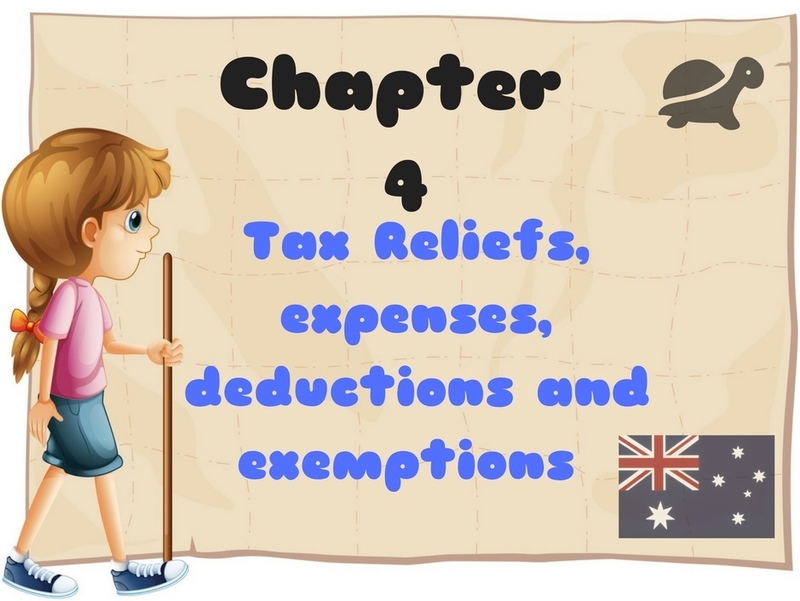 Below are examples of expenses which are allowable deductions. 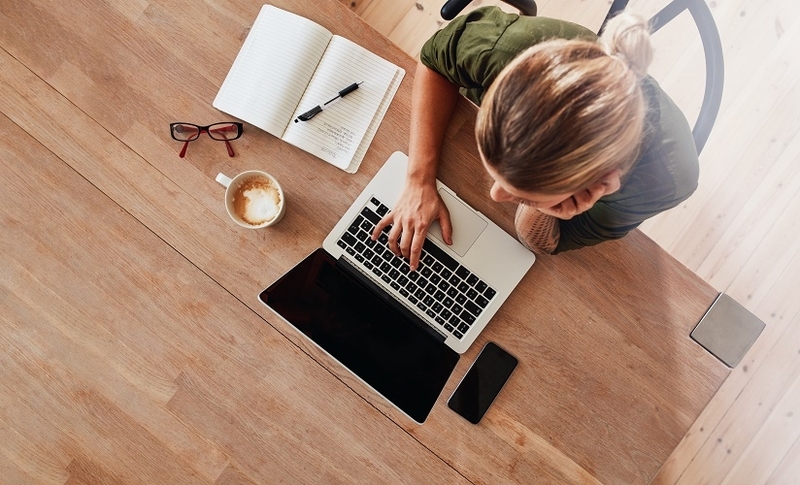 If you have vehicle or travel expenses that are directly connected with your work you can include these on your list of deductions. However, you generally can't claim for normal commutes to and from work (considered private travel). You can only count your home as a workplace if you carry out itinerant work (or have shifting places of work). In this case you can claim the cost for driving between workplaces and your home. A car expense is considered as claiming a deduction for using your own car in performing your employment duties (including a car you lease or hire). If you use someone else's car for work purposes, you may be able to claim the direct costs (such as fuel) as a travel expense. However, you can only claim expenses that relate to work. In other words, if the travel was partly private, you can claim only the work-related portion. Note: if you receive an allowance from your employer for car expenses, you should be aware that this is assessable income and must be included on your tax return. This allowance will usually be shown on your payment summary. There are two methods that can be used to calculate your travel deduction. Under the cents per kilometre method individuals can use 66 cents per kilometre (in 2016/17) for all motor vehicles. However, you can only claim a maximum of 5,000 business kilometres per car. While it's not necessary to have written evidence, you will need to be able to show how you worked out your business kilometres (for example, by producing diary records of work-related trips). If you share a car with another user for separate income-producing purposes, the two of you can claim up to a maximum of 5,000 kilometres. All motor claims must be based on the business-use percentage of the expenses for the vehicle. 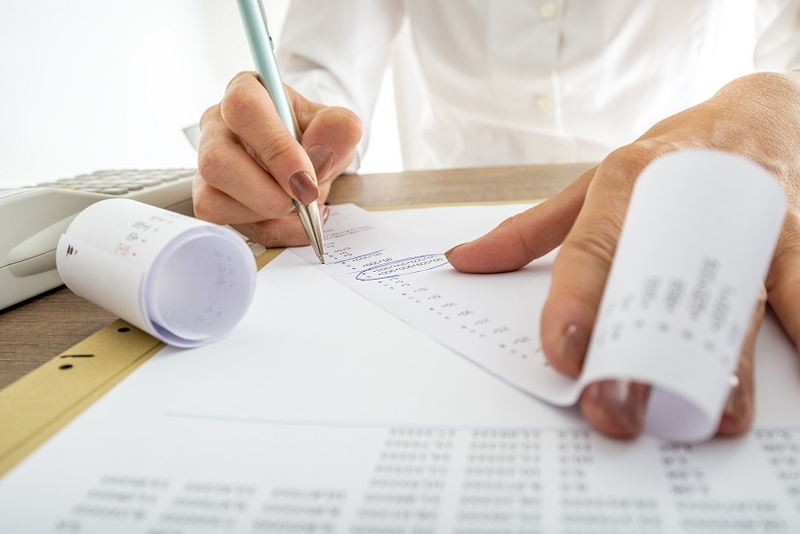 Expenses can include running costs and decline in value but not capital costs, such as the purchase price of your car, any money borrowed to buy it and any improvement costs. To work out your business-use percentage, you'll need to use a logbook and record the odometer (measures the distance travelled by a car) readings for a minimum continuous period of 12 weeks. 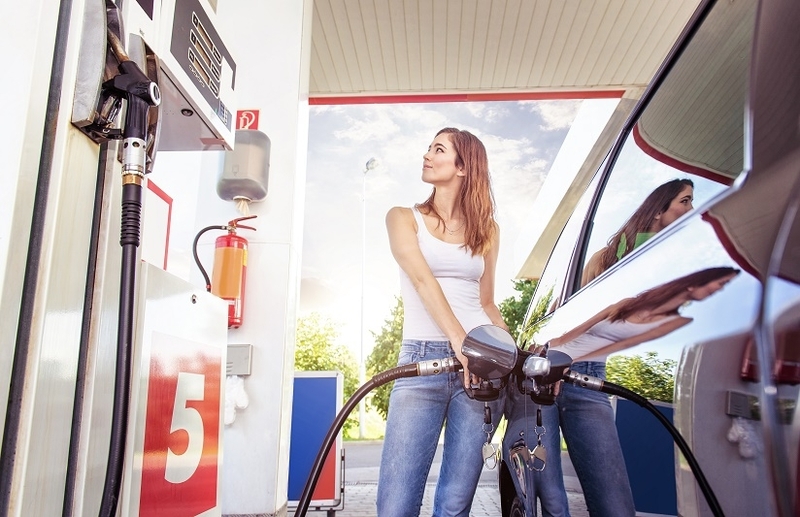 You can claim fuel and oil costs based on either your actual receipts or, alternatively, you can estimate the expenses based on odometer records that show readings from the start and the end of the period you had the car during the year. You need written evidence for all other expenses for the car. You can claim a deduction for using a car that you owned, leased or hired under a hire-purchase agreement. You can't be considered to own or lease the car if you do not make financial contributions such as the initial purchase, lease, hire-purchase agreements, and loan or lease payments – even though you pay for expenses such as registration, insurance, maintenance or other running costs. If you have a family or private arrangement where you are effectively the owner of the car, even if you are not the registered owner, you can still claim expenses. Where an accident occurs in the course of producing your assessable income, the expenses associated with the liability to pay for the damage to the other vehicle involved in the accident are incidental and relevant to the production of your assessable income. They are not capital, private or domestic. Note: If your travel expenses are reimbursed you can't claim a deduction. If you get paid an allowance for some travel expenses (including overtime meal allowances, and domestic and overseas travel allowances), you don't have to keep written evidence of your expenses provided your claim does not exceed the reasonable allowance amount set for each year. If you want to claim more than the reasonable allowance amount, you need to keep evidence of your expenditure. Mark works for a delivery company in Perth. His employer asks him to visit conferences, events and meetings located in Adelaide once a month. Due to the long distances of travel involved and the length of the events, Mark has to sleep away from home for three nights on each trip. Mark's employer pays him an allowance of $150 per night to cover accommodation, meal and incidental expenses and includes the allowance on his payment summary. As Mark's employer has shown the travel allowance on his payment summary, he must include that allowance in his assessable income on his tax return. Mark can claim a deduction for the amount he spends on meals and accommodation without providing receipts or other written evidence, as long as his claim does not exceed the reasonable allowance amount (Adelaide daily total - $285.70). Mark can't automatically claim the reasonable amount as a deduction just because he has received an allowance. He can only claim the amount he spends on accommodation, meal and incidental expenses. And, if Mark wants to claim more than the reasonable allowance amount, he will need to provide written evidence for all his expenses. However, even if Mark relies on the exception from providing receipts or other written evidence, he may still be required to show the basis for determining the amount of his claim, that he spent the money, and that it was for work-related purposes. As a general rule, you must declare any travel allowance you receive as income in your tax return. If you don't declare your allowance as income, you can't deduct your accommodation costs (and meal and incidental expenses, if applicable) – even if they are more than your allowance. To claim a deduction, you'll need to keep written evidence to account for your costs. However, you won't need to substantiate the costs if you have received a travel allowance for travel within Australia and the deduction you claim for accommodation (and meals and incidental expenses, if applicable) is equal to or less than the reasonable travel allowance. Rather than stay in a hotel, motel or serviced apartment, you may instead be staying in rented accommodation or in accommodation that you purchased. The costs of financing, holding and maintaining accommodation you purchase or rent to stay in when you travel for work may be deductible as work related travel expenses. You must declare any travel allowance you receive as income in your tax return if you want to claim a deduction for your accommodation costs (as well as meal and incidental expenses). You can't claim costs relating to capital expenses such as the costs of purchasing or renovating the accommodation purchase costs of furniture, household equipment and other assets for the accommodation. Note: You can't claim a deduction for the cost of financing, holding and maintaining your home. Jane works for a paper and stationery company in Sydney that has a regional office in Melbourne. The company requires her to attend the Melbourne branch for three weeks every second month. Jane purchases a one bedroom apartment in Melbourne to stay in when she is in the city for work. When she is not there for work, the apartment is vacant. And Jane doesn't use it for private or domestic use during the year. Jane receives a travel allowance from her employer to cover the cost of accommodation, meals and incidental expenses for the periods she is needed in Melbourne. This allowance is shown on her payment summary. 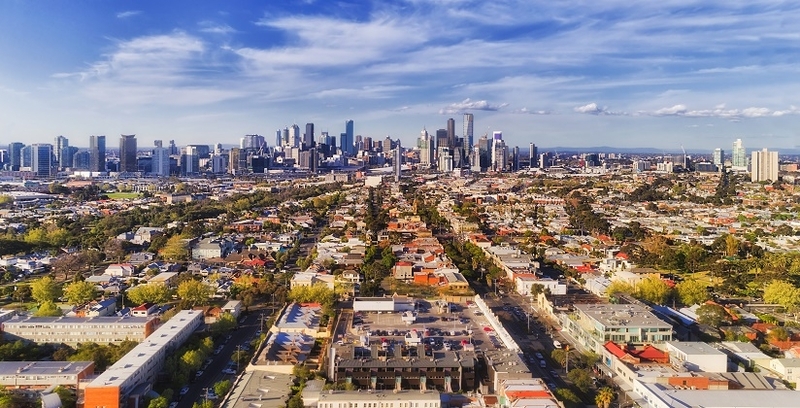 The costs of financing, holding and maintaining the apartment in Melbourne for the year are not disproportionate to the cost of Jane obtaining suitable short-term accommodation for the same periods. Jane must include the travel allowance as income in her tax return because it is shown on her payment summary. She can also claim a deduction for the costs of financing, holding and maintaining the Melbourne apartment for the year. You may receive an allowance from your employer for transport expenses or car expenses that is paid to you under an award. This is assessable income and must be included on your tax return. You may also be able to claim a deduction for work-related transport expenses covered by these payments. To work out how much you can claim, you need to know the award amount as this affects whether you need written evidence to support your claim. If you choose to claim no more than the award amount, you don't need written evidence. If you want to claim more, you will need written evidence for the whole of your claim. If you receive an allowance from your employer for clothing, uniforms, laundry or dry-cleaning, you will need to display the amount of the allowance on your tax return. You can claim deductions for clothing that is specific to your occupation (and not every day in nature) and allows the public to easily recognise your occupation. However, you can't claim the cost of purchasing or cleaning clothes you bought to wear for work that are not specific to your occupation. Examples of ineligible clothing expenses include a business person's suit or a swimming instructor's swimwear. You can claim for clothing and footwear that you wear to protect yourself from the risk of illness or injury associated with your work. To be considered protective, the items must provide a sufficient degree of protection against that risk. You can claim a deduction for a uniform, either compulsory or non-compulsory, that is unique (it has been designed and made only for the employer) and distinctive to the organisation you work for. However, you can't claim the cost of purchasing or cleaning a plain uniform which is not specific to an employer. This is a set of clothing that identifies you as an employee of a particular organisation. That organisation must have a strictly enforced policy that makes it compulsory for you to wear the uniform while you're at work. You may also be able to claim a deduction for shoes, socks and stockings if they are an essential part of a distinctive compulsory uniform, and their characteristics (colour, style and type) are specified in your employer's uniform policy. Alternatively, you may be able to claim for a single item of distinctive clothing, such as a jumper, if it's compulsory for you to wear it at work. You can't claim expenses incurred for non-compulsory work uniforms unless your employer has registered the design with AusIndustry (specialist business program delivery division in the Department of Industry, Innovation, Science, Research and Tertiary Education). However, shoes, socks, stockings and single items (such as a jumper) are never considered part of a non-compulsory work uniform and can't be considered for a deduction. It's possible to count the cost of washing, drying and ironing eligible work clothes, (or having them dry-cleaned) as an eligible deduction. 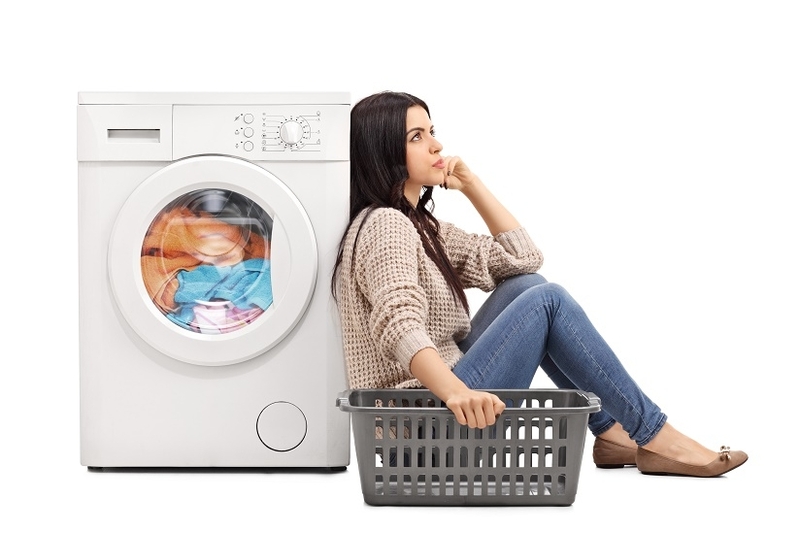 If you don't have to provide written evidence for your laundry expenses, it's a good idea to use the 'reasonable basis' to work out your claim. Note: If you choose another basis to work out your claim, you may be asked you to explain that basis. You can also claim the cost of dry-cleaning work-related clothing as a deduction. However, If your total claim for work-related expenses exceeds $300 - not including car, meal allowance, award transport payments allowance and travel allowance expenses - you will need to have written evidence to substantiate your claim. Deductions for gifts are claimed by the person that makes the gift (the donor). In Australia only certain organisations are entitled to receive tax deductible gifts. These organisations are commonly referred to as 'deductible gift recipients' (DGRs). In other words, it's only possible to claim a tax deduction for gifts or donations to organisations that have a DGR. If you would like to claim a deduction, your gift must meet four conditions. This depends on the type of gift that you give. Usually, a tax deduction for most gifts is claimed in the tax return for the income year in which the gift is made. However, in certain circumstances, it's possible to spread the tax deduction over five income years. You may be entitled to claim eligible home expenses as a deduction on your tax bill. Examples of home expenses include; a computer, phone or other electronic devices you are required to use for work purposes, as well as a deduction for running costs. Generally, as an employee, you can't claim a deduction for occupancy expenses. Examples of occupancy expenses include rent, mortgage interest, council rates and house insurance premiums. However, you can't claim a deduction for receiving an exempt dividend or other exempt income. If you attend an investment seminar, you are only entitled to claim a deduction for the portion of travel expenses incurred in connection with your investment income activities. If have a joint account, you can only claim your share of fees, charges or taxes on the account. For example, if you hold an equal share in an account with your spouse, you can only claim half of any allowable account-keeping fees paid on that account. If you buy tools, equipment or other assets to help you to earn your income, you are entitled to claim a deduction for some or all of the cost. If the tools are used for both work and private purposes you will need to apportion the amount you claim. For example, if you have a computer for your graphic design business which is also used for private purposes half of the time, you can only deduct 50% of the cost as this is the amount of time that was used for business purposes. 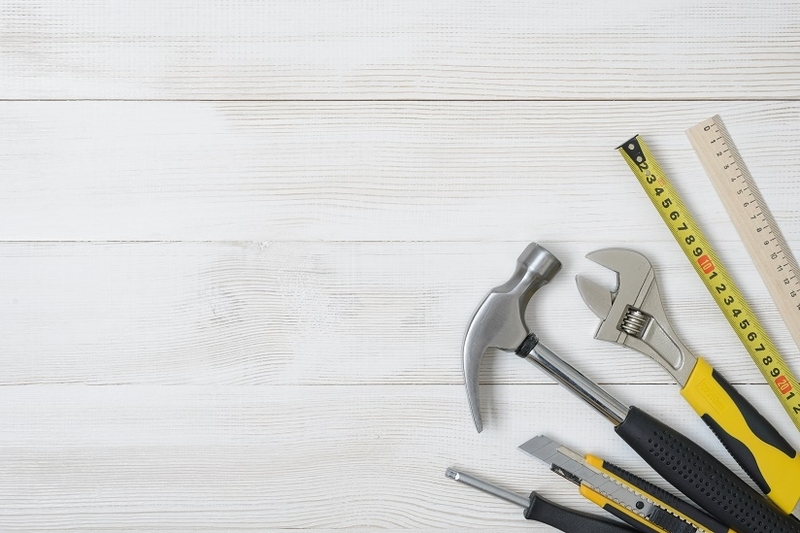 You can also claim the cost of repairing and insuring your tools and equipment as well as any interest on money you borrowed to purchase these items. If you use items for both personal and work-related purposes you need to keep a detailed records (such as a diary) so that you can show, if required, how you apportioned the amount of private use and work-related use. 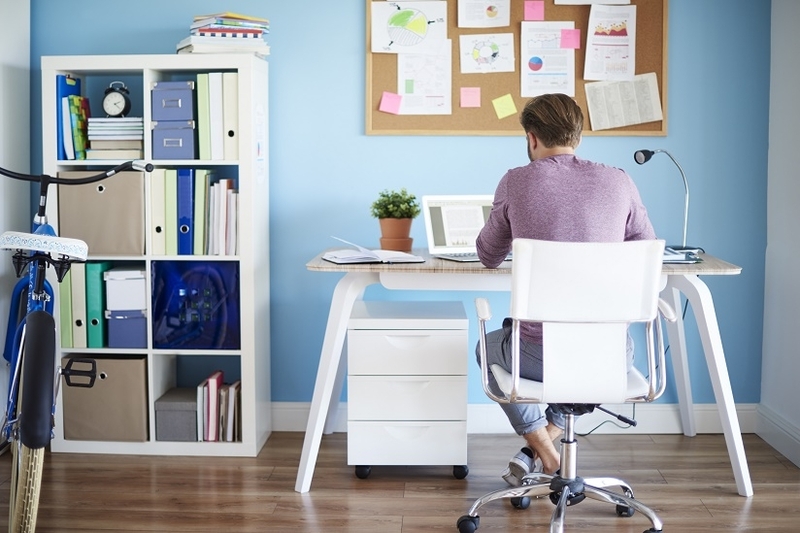 You may be able to claim a deduction for self-education expenses if your study is work-related. For example, if you do a course for bar work on construction. Common items also include courses such as RSA (Responsible Service of Alcohol), RCG (Responsible Gambling Training) and White Cards (for safe work on Australian construction sites). 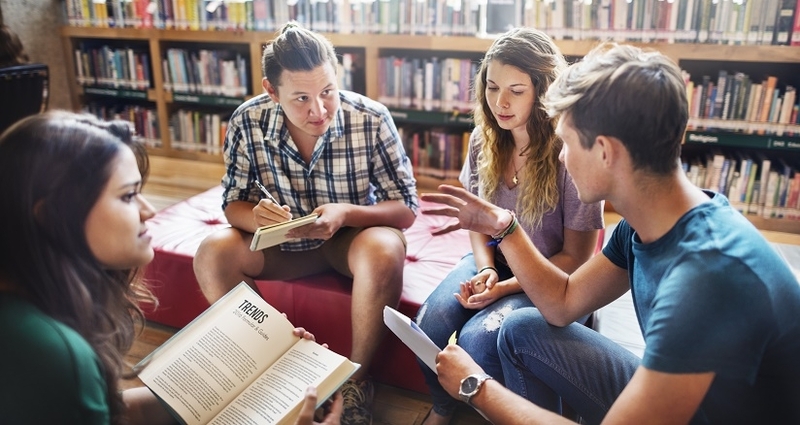 You can't claim for self-education expenses for a course that doesn't have sufficient connection to your current employment even though if it might be generally related to it or enables you to get new employment. Some travel for journeys cannot be claimed, but you may be able to offset the cost of these journeys against the $250 reduction. If an expense is partly for your self-education and partly for other purposes, you should only claim the amount that relates to your self-education as a deduction. As a general rule of thumb, if you need to spend money to earn income, you can usually claim it – either as an immediate deduction or over time. During the financial year you'll receive documents that are important for doing your tax, such as payment summaries, receipts, invoices and contracts. Generally, you need to keep these for five years from when you lodge your tax return in case you are required to substantiate your claims. Note: Your documentation must be in English, unless you incurred the expense outside Australia. If your total claim for work-related expenses is more than $300, you must have written evidence to prove your claims. If you acquire a capital asset - such as an investment property, shares or managed fund investment it's a good idea to start keeping records immediately because you may have to pay Capital Gains Tax if you sell the asset in the future. Keeping records from the start will ensure you don't pay more tax than necessary. 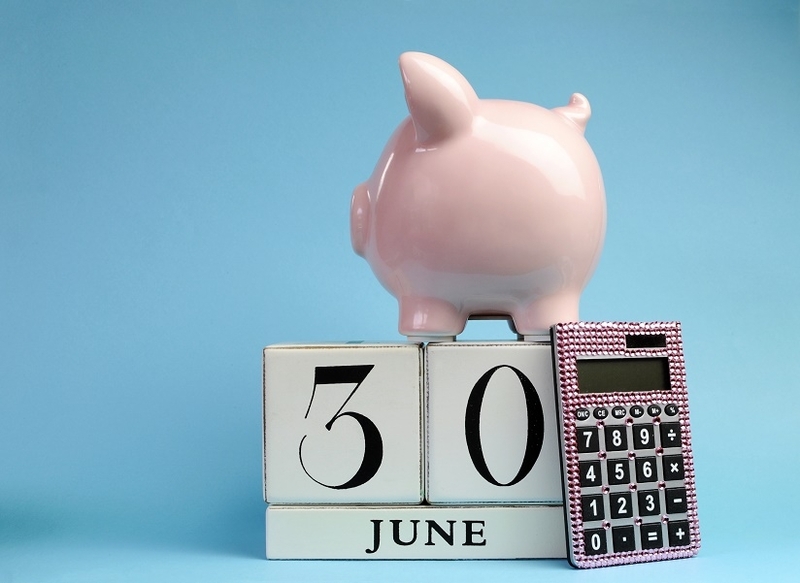 30 June marks the end of the Australian income year. After this date you lodge your annual tax return to detail how much income you received and the tax that you paid on it. You will then be entitled to receive a tax refund if you're due one. Who needs to lodge a tax return? However, you do not need to lodge an Australian tax return if you are a foreign resident and your only Australian-sourced income was interest, dividends or royalties from which non-resident withholding tax has been correctly withheld. 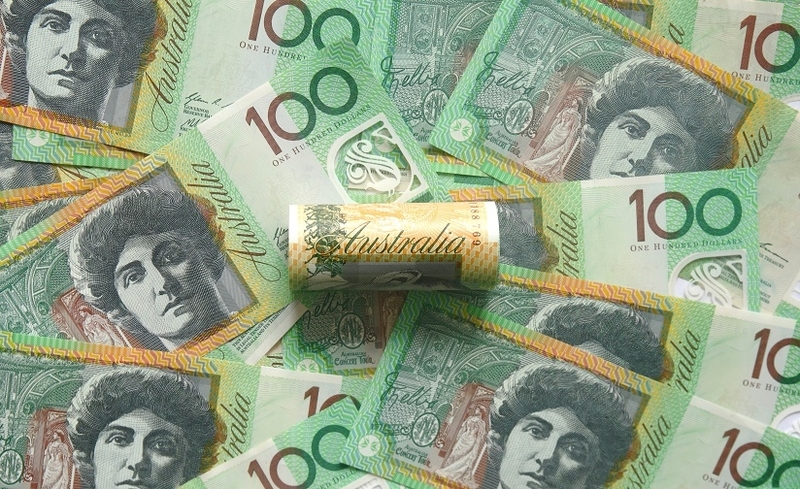 30 June marks the end of the Australian income year. After this date you have from 1 July to 31 October to lodge your tax return for the previous income year. There are three main options you can choose from in order to file your tax return. You can file your tax return and apply for your refund directly yourself online. When you create and log into your myTax account you will see that most information from your employer, bank and government agencies will be pre-filled by late August and this will be useful for you to file your return. It's also possible to lodge a paper tax return by mail. The Individual tax return instructions and Individual tax return instructions supplement are designed to help you to complete your tax return. 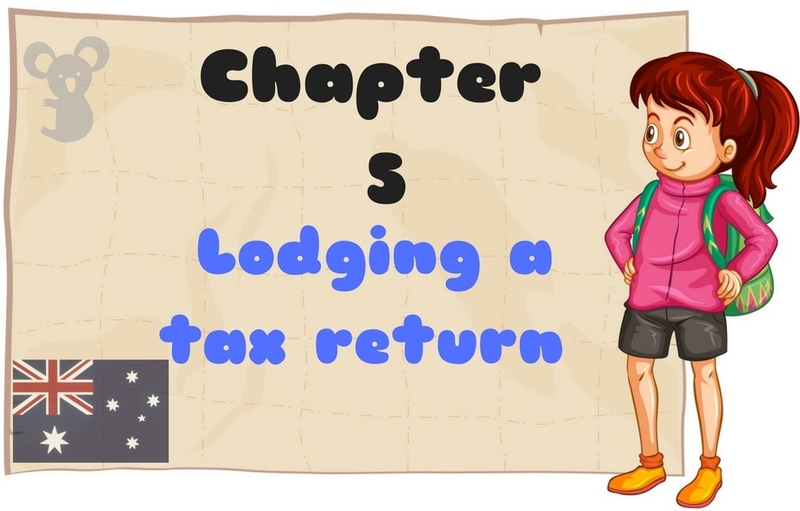 If you use a registered tax agent, like Taxback.com, to prepare and lodge your tax return, you can lodge later than 31 October. 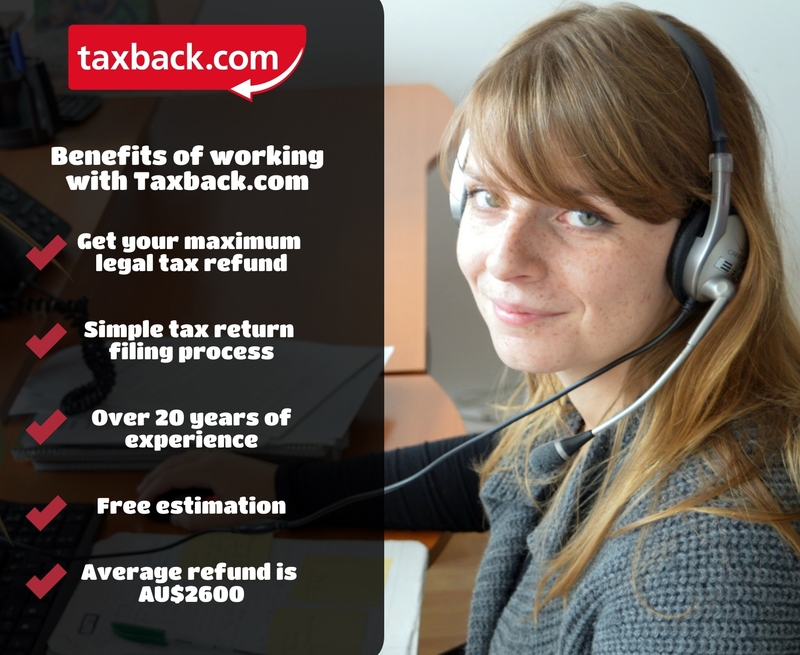 Taxback.com have over 20 years of experience in getting Oz tax back for backpackers, 417 visa holders, students and working holidaymakers. We can file your tax return for you and ensure that you receive your maximum legal tax refund. Our average Australian tax refund is AU$2,600. How do I know if I will get a refund? One way to find out if you're due a refund is by using the Taxback.com no-obligation tax refund calculator. It's completely free to get an estimate of your refund here. If you file a tax return yourself and you think you made a mistake or you forgot to include something, you can amend your tax return by logging on to myGov. Online amendments are generally processed in four weeks, compared to paper amendments which take 10 weeks. You can amend multiple times if needed. DASP stands for 'Departing Australia Superannuation Payment'. If you are or were on temporary visa in Australia (except subclasses 405 and 410) and don't intend to retire there, you are entitled to claim back your superannuation. The average super refund from Taxback.com is $1,908. Superannuation is a system for employees in Australia to collect enough funds to replace their income in retirement. Everyone over the age of 18, who earns more than $450 per month (before tax), must have a super fund. Their employer must pay 9.5% of the value of their ordinary time earnings into a super fund. There are many reasons why working holidaymakers may be entitled to a tax refund. You are entitled to apply for your refund when you file your tax return. The average tax refund from Taxback.com is $2,600. TFN stands for 'tax file number'. Your tax file number (TFN) is your personal reference number in both the tax and Superannuation systems. New Zealand citizens and permanent residents of Australia are not eligible for the Departing Australia Super Payment. The Trans-Tasman Retirement Savings Portability Scheme permits transfers of retirement savings between super funds for people who emigrate from one county to the other. There are two visa subclass options that prospective working holidaymakers to choose to apply for. If you do not supply your Tax File Number (TFN) to your employer when you start your job they must withhold 45% (to the nearest dollar) of your wages regardless of your level of income no matter the income. Q - I'm in Australia on a 462 working holiday visa. Do I have to file a tax return? A - Yes. 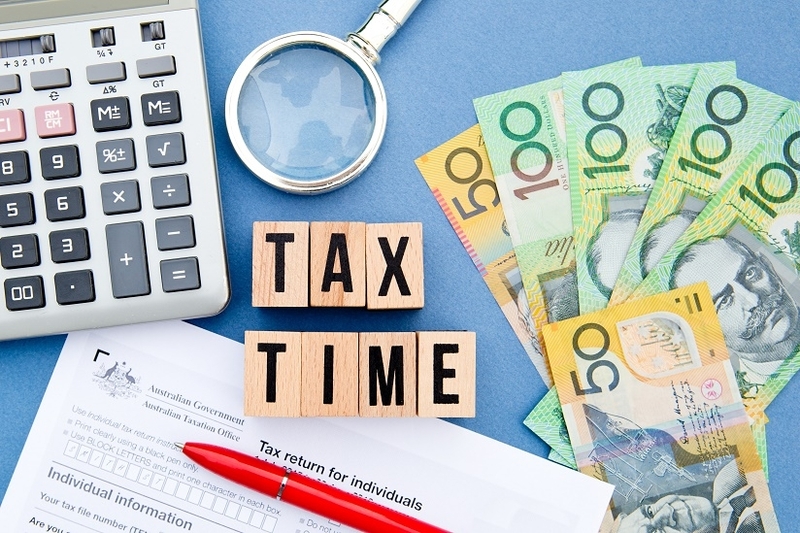 Everyone that works in Australia must file a tax return regardless of their level of income. This includes all including working holidaymakers and students. Q - When is the deadline for filing? A - The Australian financial year runs from 1 July to 30 June of the following year and your tax return covers this period. If you're lodging your own return, the deadline is the 31 October. Q - How can I tell if I am a resident or non-resident for tax purposes? A - The majority of Australian working holidaymakers are considered foreign residents for tax purposes. The main requirement to be deemed a resident for tax purposes is that you have continuously resided in Australia for a period of 183 days (6 months). When you file your tax return you will be asked to complete a residency questionnaire and the purpose of this is to establish your correct tax residency designation. Q - What's the difference between an ABN and TFN? A - An ABN is an Australian Business Number and every business operating in Australia needs to have one. Also, all self-employed people are required to have an ABN and quote it on invoices for work performed. Common examples of occupations where an ABN might be required are trades such as carpentry, fundraising, and personal training. A TFN is a Tax File Number which is required by anybody who wants to work in Australia. This number is given to all employees when you start working and your employer will then deduct tax from your income under the PAYG (Pay As You Go) system. Because tax is taken at source by your employers, generally speaking people don't need to worry about having a tax liability at the end of the year. Q - File a tax return? No way! That sounds like too much hard work! What happens if I just don't file a return? A - If you do not file a tax return, you may be liable to pay fines and penalties. You will also miss out on claiming your tax refund if you don't file a return. But filing a tax return is actually pretty easy, especially if you file with Taxback.com. Our average Australian tax refund is $2,600. Q - What documents will I need in order to file my return and claim my refund? A - It is a good idea to keep a hold of the below documents as you may need them when you are filing your return. Payslips – your final payslip from each job is the most important so keep it safe! Q - I have lost most of my payslips. What can I do? A - You can ask your employer for a PayG Summary at the end of the financial year. Alternatively, Taxback.com can help you to retrieve your lost documents. 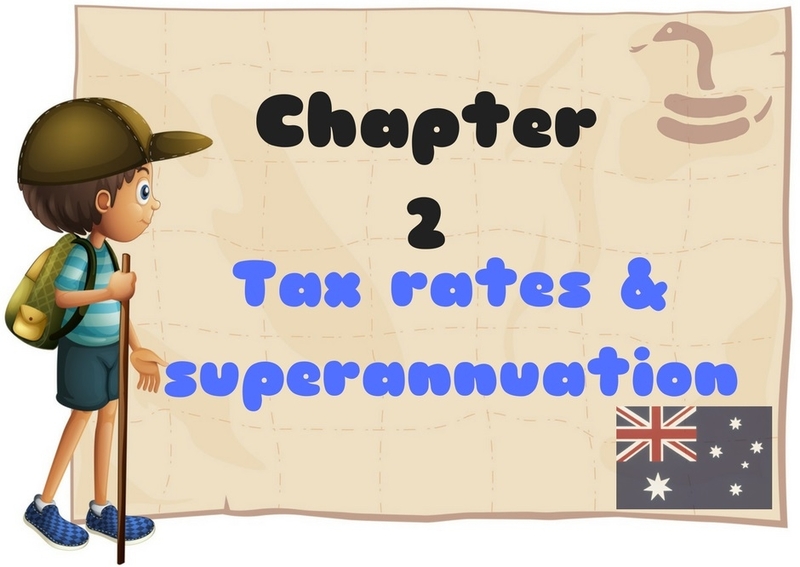 Q - What is Superannuation? A - Superannuation is a system for employees in Australia to collect enough funds to replace their income in retirement. Q - How can I tell if I'm supposed to pay Superannuation? A - If you earn over $450 per month in Australia your employer is legally obliged to pay into a superannuation (super) fund for you. They should be paying 9.5% of your basic earnings (in addition to your wages) into a nominated superannuation fund. Q - I plan to travel around Australia and work in a number of different jobs. How will each employer know how to pay my super into the same fund? A - They won't! Not unless you tell them that is. Many employers will have a default super fund that they will pay into. This means that if you have four different employers, you'll have four different super funds and things can get confusing. Alternatively, you can set up your own fund and advise your employer to pay your super into it. To do this you'll need to give your employer the name of your fund and your member number. Q - I have no intention of retiring in Australia. Can I get my super back? A - Yes. But, you can only claim your superannuation refund (Departing Australia Superannuation Payment - DASP) when you have left Australia or your visa has expired. However, before your super is paid to you, tax will be deducted. If your Departing Australia Superannuation Payment is processed on or after 1 July 2017, your superannuation refund will be taxed at a rate of 65%. If your superannuation refund is processed before 1 July 2017, then your superannuation refund will be taxed at a rate of 38%. And if you have one super fund, rather than numerous funds, it will be easier to process your DASP. The average super refund from Taxback.com is $1,908. Q - How long does it take to get a refund? A - It takes around 10-12 weeks to process our income tax refund. Once at the superannuation fund office, your application should take up to 12 weeks to process. Further information on takes refunds can be found here. 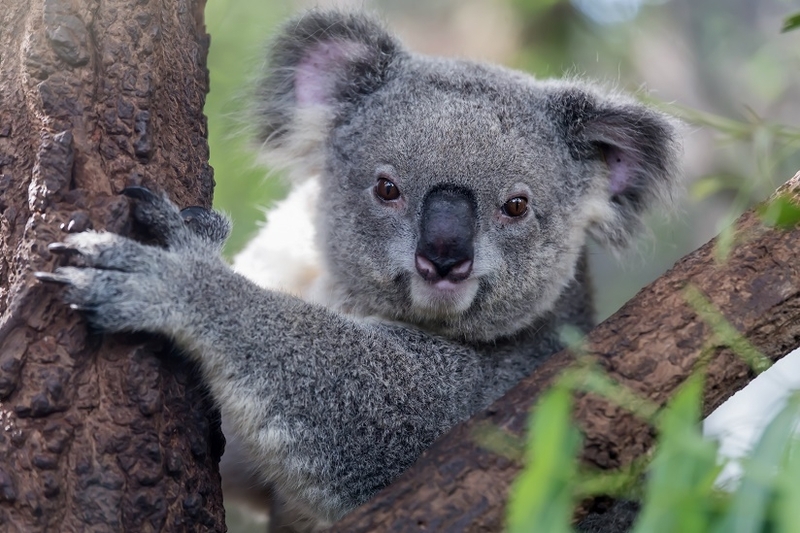 Q - Can I go back to Australia if I claim my Superannuation? A - Yes. You can apply to return to Australia on another visa even if you claim and receive your superannuation refund. Q - I applied for an income tax refund before but I wasn't happy with how much I got - can I apply again? A - If you filed an Australian tax return in the last 2 years with another company or on your own and you're not satisfied with what you got back, Taxback.com can look into this for you. We can assess for free whether you are owed a bigger tax refund than you received. Our average tax refund is AU$2,600. Get your refund today! Mark is the Digital Content Executive at Taxback.com. Since graduating from Griffith College Dublin with a degree in Journalism and Visual Media, his work has been published both in print and online.